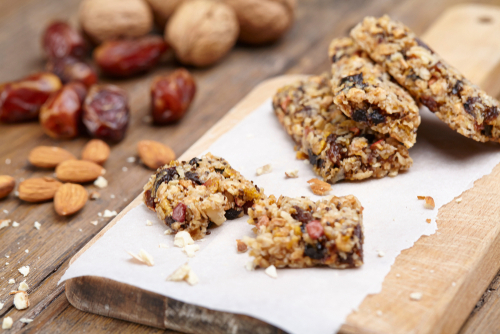 This healthier recipe, based on one devised by The Minimalist Baker, uses Medjool dates for natural sweetness, oats for heart health, nuts for protein and a satisfying crunch, and peanut butter and honey to stick everything together to make an enjoyable, portable, chewy treat. • If you can’t tolerate or don’t like peanuts (which are actually not really nuts, but legumes from the pea and bean family that grow underground), you may be OK with tree nuts, so could substitute almond, hazelnut or cashew nut butter for peanut butter in the recipe. • If you’re a vegan, you could use maple syrup or agave nectar, instead of honey. • If you’re gluten-intolerant, choose GF oats. 220g sticky dates (preferably Medjool) with stones removed. If they’re a bit dry, soak them in a little hot water for a few minutes and drain before processing. 1. 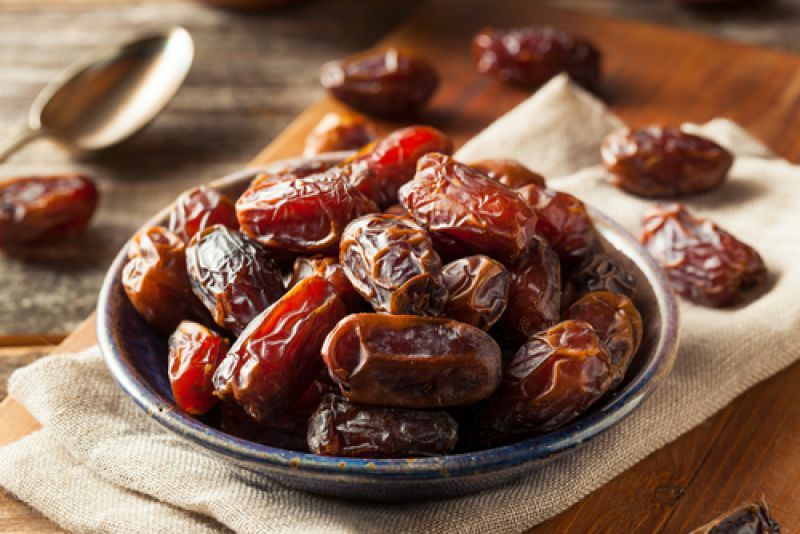 Whizz the dates in a food processor until they form a sticky ball. 2. Optional - toast the oats and almonds in a moderate oven for about 10 minutes (or you can leave them raw). 4. Warm the honey and peanut butter in a small saucepan over a low heat, stir together and mix into the other ingredients, breaking up the dates to disperse them throughout the mixture. 5. Spread the mixture in a 8” square tin, lined with baking parchment, and press down with the bottom of a drinking glass. 6. 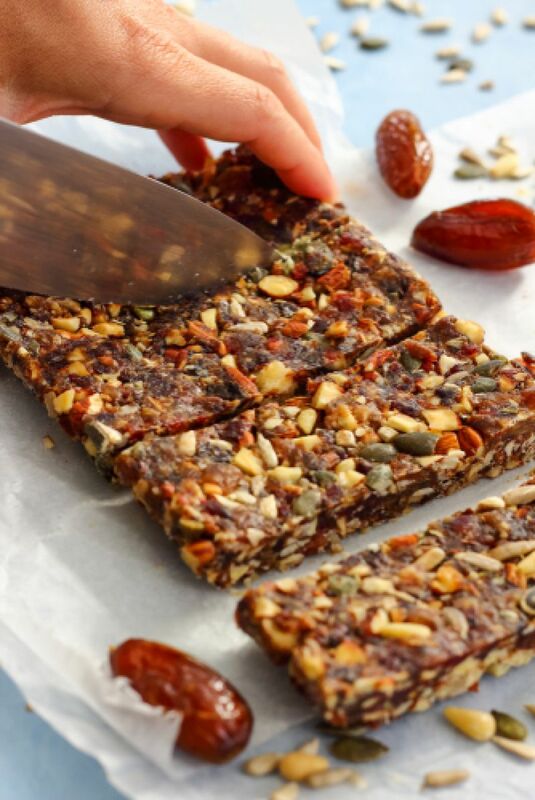 Firm them up in the fridge or freezer and cut into 9 or ten bars. 7. Store in an airtight container for a few days or freeze them, wrapped in cling film, so you can enjoy one when the mood takes you!